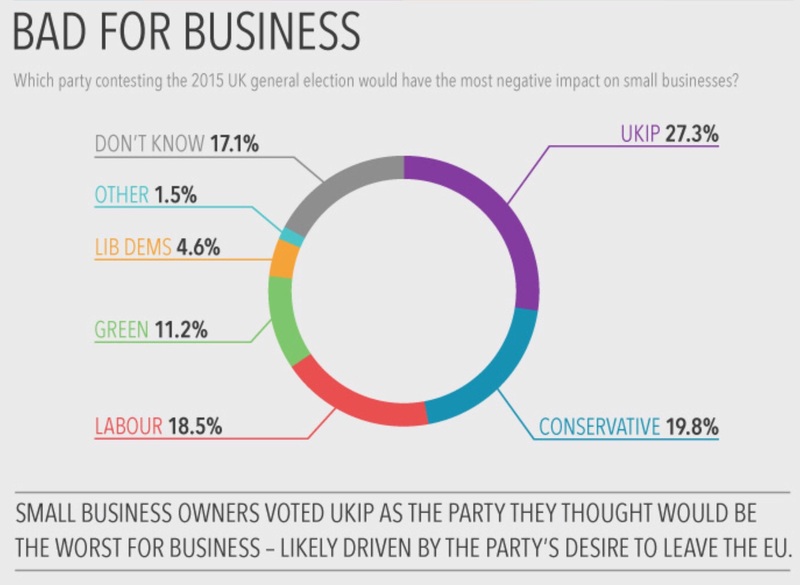 UPDATE 17:15 on 28/4: It turns out that small business owners have been polled on a selection of subjects related to the election and the results make for very interesting reading – a neat way to close this thread. You can see the full results of the research here – it involves a reasonably sized and representative sample of real owners of real small businesses, rather than party members, candidates, cronies, retirees, volunteers, barristas, funeral parlour consultants, people who never signed it, people who have asked to be taken out, dissolved and liquidated businesses, people who responded four times, ghosts and the neighbour’s dog. As of the time of writing this, tha names of the two charities who have issued public statements demanding to be taken off the list, still appear on the list. I guess the Telegraph is past caring. – We have been included on the list without our knowledge or consent and have contacted the conservative party and the Telegraph to demand that our organisation is removed from this list. – The Trust is a very small charity and not a small business. It should not and should never appear on any list of political endorsements such as the one published in the Telegraph of apparent owners of small businesses. We do not and have not made any such political endorsement today or at any other time. – No one at the charity has been authorised to sign such a document on our behalf, nor would they ever be. UPDATE 07:30 on 28/4: A reader has done additional work on duplication. You can see it here. UPDATE 20:55: Here is a list of dozens of businesses included as signatories which are dissolved or in liquidation, courtesy of @barnybug. A wonderful advertisement of the effectiveness of the policies which they, apparently, endorse. UPDATE 20:00: I am beginning to have very serious doubts as to how many of even the legitimate businesses on the list actually signed anything. Aurum Solutions have issued a statement. Their sales director received an email from Brady “and recalls clicking on the link to find out more”. That’s it. He does not recall signing anything and denies strongly providing any information about the company. Could it be that this was merely an aggressive piece of spamming, where database entries referring to people and their workplace were signed up to this shambles at the mere click of the link? UPDATE 17:15: Diverse Cymru have now demanded to be taken off the list. Say what you want, claimed a Tory councillor to me. The source is not important. What is important is the message. A significantly more charitable attitude than the one the Conservatives had adopted with regard to the letter from NHS professionals. Then, the list itself began to be scrutinised. Nobody has done a thorough review of the list yet. This is just a cursory scan which only reveals the tip of the iceberg. And a pretty substantial iceberg is seems to be. First came the realisation that there were many duplications. In fact there were so many that someone began to compile a full list. Here is what it contained last I saw it. Shambles, you say? You can say that again. Oh, you did. Strangely, the Telegraph took it upon itself to excise the list of duplications. No correction or apology. Just selective deletion. I find this incredibly sinister. Around 11am this duplication appeared. By midday it was gone. The number 3241, simply omitted. It was all fun and games, so far, but then it started to get serious. It turned out, some businesses had not signed the letter at all. Andrew Neil on the BBC’s Daily Politics programme, confronted David Gauke with the fact that simply looking over the first forty or so names of the list, he identified at least four occasions on which the signatory did not own or hold any shares in the company. This began to expose the more significant problems with who signed the letter and on behalf of whom. I am no captain of industry but people who own a small business tend to describe themselves as the owner or the proprietor. Perhaps managing director or general secretary at a push. They do not tend to describe themselves – the selection below is, again, from a cursory glance – as “consultant” (what does a consultant do at a funeral parlour, exactly? ), “admin”, “payroll”, “office manager”, “office assistant”, “executive assistant”, “medical director”, “academy director”, “Chief Inspiration Officer” (a what, now? ), “site manager” of a regional dept, “sub postmaster” of a branch. I am not suggesting that all those people don’t do valuable jobs, of course. But small business owners, they ain’t. And, however loose your criteria, you have to draw the line at people who are explicit about being retired, on one occasion, for 20 years. All this makes one terribly suspicious as to whether the companies being signed up and splashed across the Telegraph even knew they were. And it should have made The Telegraph suspicious, when one of those small business owners described himself as a waiter. 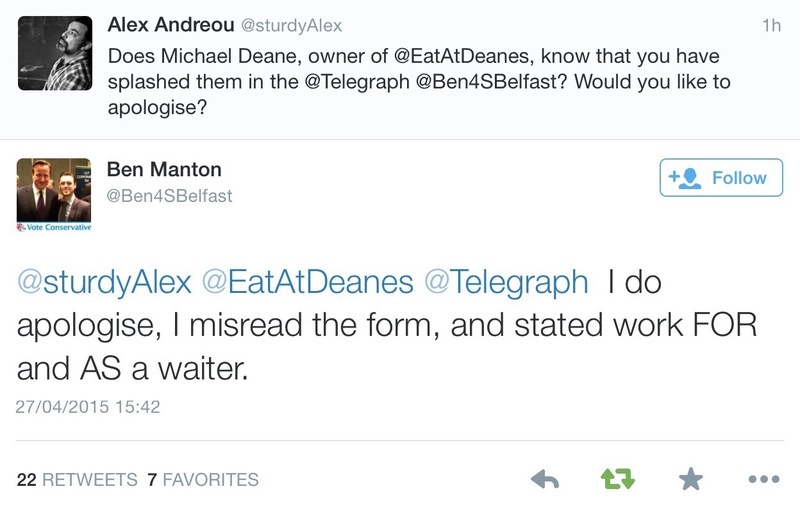 Did Deane’s Restaurant Group know that they had been signed up as Conservative supporters on a national broadsheet by a barrista of one of their Belfast cafes? It seems not. Aurum Solutions certainly did not know anything about it, as the real owner made quite clear. And the person who was meant to have signed it, even, had not. David Gauke tried to make light of the discrepancies and suggested that the letter “was signed by people of no political background”. That is also, however, inaccurate. One of the entries of “small businesses” is actually the “Stanley Ward Conservative Club”. I have spoken to at least two Conservative councillors who signed the letter. 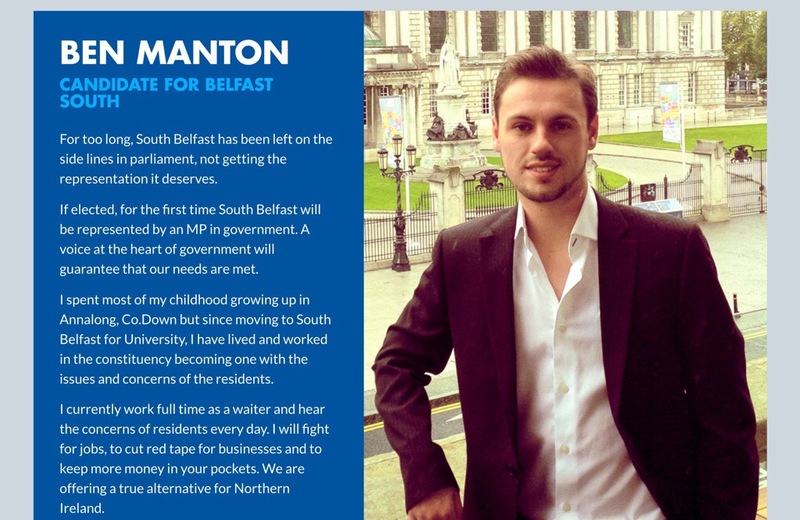 And remember Ben Manton? The barrista from Belfast who “misread the form”? 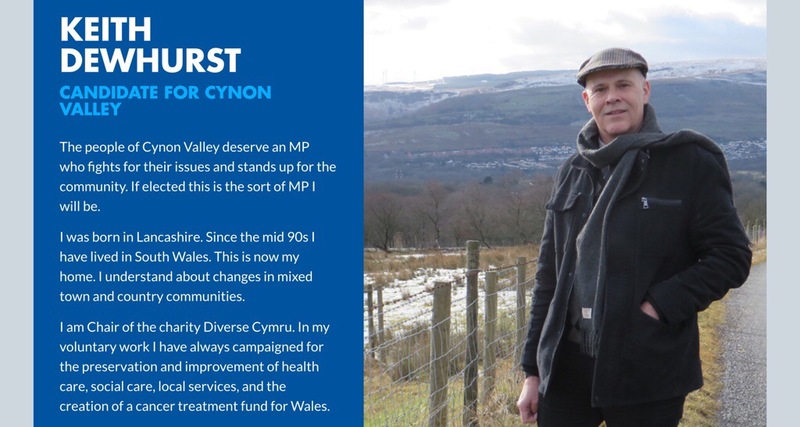 Well, he is the Conservative parliamentary candidate for his constituency. A cursory glance of the list reveals no less than seven Conservative parliamentary candidates: Selaine Saxby, Rebecca Pow, Chris Pearson, Iain McGill, Ben Manton, Nicola Wilson and Keith Dewhurst. Keith Dewhurst, astonishingly, signs the letter as the Chair of a Welsh charity which helps people with disabilities. Since when does the chair of a charity “own” it as a “small business”? And what position does that leave a charity in, which is meant to be apolitical, both ethically and under the Charities Commission’s rules? I have sought comment from them and have so far not had a response. Certainly, questions will continue to be asked, especially about CCHQ’s use of this data. This was the disclaimer at the bottom of their letter. The more one looks at this list, the more the conclusion that it is a deliberate attempt to deceive the electorate becomes inescapable. Certainly, it is an example of hugely shoddy journalism from The Telegraph – if I, as a novice and on my own, can find this stuff out in a few hours, they should have in ten minutes. Their headline still reads “huge boost for Cameron as 5000 small businesses…” BLAH BLAH, as they correct the list provided to them by CCHQ and published unchecked. Not a shred of integrity. It is funny, but it is also tragic and sinister. Thanks. Amazing how the Telegraph has ditched reporting and proper journalism for pure (though clumsy) propoganda! Regards Thom. Pension PlayPen is one of millions of small businesses that did not sign the Small Business Letter. Cracking piece Alex. Just a small correction: a sub-postmaster most certainly is a business owner. They hold a Post Office licence in much the same way that a Subway or McDonalds franchise owner operates as an independent business. But on the whole, as I said, brilliant forensic dissection of the article in question. Whilst this is technically true, I think it would be misleading if the fact that one sub-postmaster signed such a letter were taken to mean that the entirety of the Royal Mail (hardly a small business) supported the Conservatives. But of course that is exactly what the Tories and the Telegraph would present it as. At one level, I expect CCHQ to do such a half-baked stunt, it’s an election period. But what is perturbing is that people in the media are so craven, lazy or stupid you take your pick, that CCHQ could have listed characters from Harry Potter, Lord of the Rings and the Old Testament and the Telegraph and co would still print it without criticism. Not even a “CCHQ has published a list…” in order to distance themselves from it. I have heard anecdotes (friend of a friend etc) about how the DT is merely a sewage outflow pipe for the Tory Party these days but it’s pretty shocking to see it confirmed in print. And then BBC swallows it all without comment as well. The BBC swallowing it is likely because those practising undemocratic politics (Toryism is about aristocracy) will likely also practice unfair media clamp-downs, and the BBC know it. So they report it in a way that comes across as somewhat uncritical, though if I had heard from the BBC that the Torygraph had done this stunt I would have assumed the Torygraph was being its usual anti-social self. A big version of the Sun, basically. Brilliant work – thanks! I’ve e-mailed several of the trusts/charities asking if they are happy for a member of their staff to “sign” this letter and have their organisation’s name associated with it; wonder if I’ll get any reply. What a great read! The Tories are proving as bad at running a campaign as they have been at running Britain! However: ” an attempt to defraud the electorate?” Methinks the electorate isn’t quite so gullible. 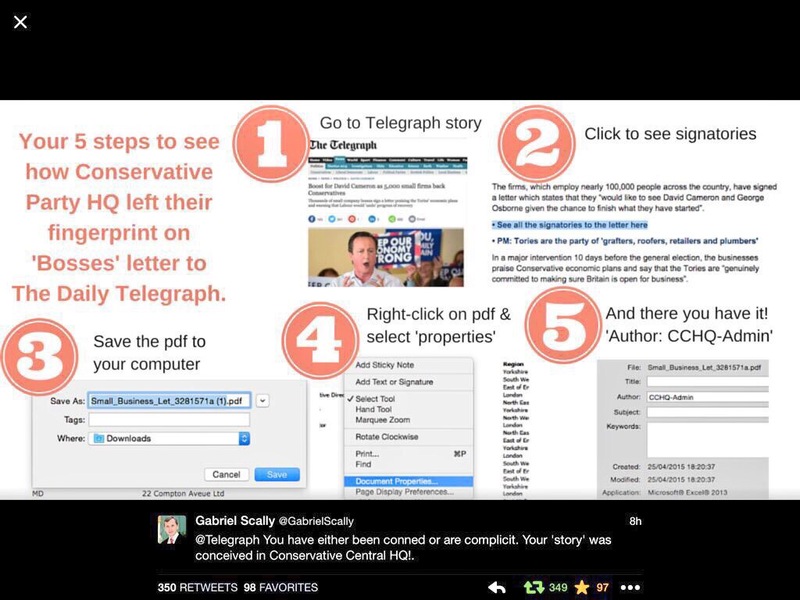 ” an attempt to mislead the Telegraph?” now that may be worth investigating. Re 20:00 update ‘Could it be that this was merely an aggressive piece of spamming ?’ – Grant Shapps written all over it ! A bloody brilliant blog deserving 3000 threads not 3. Fantastic and lucid timeline. Great stuff. Number 1182 is a Tory former Peterborough City Councillor who campaigns on behalf of virulently anti -equal marriage MP Stewart Jackson. Not exactly ‘ non -political ‘. Been following this all day; if it had been Labour there would have been news coverage, I’m sure. Very interesting & thorough stuff! 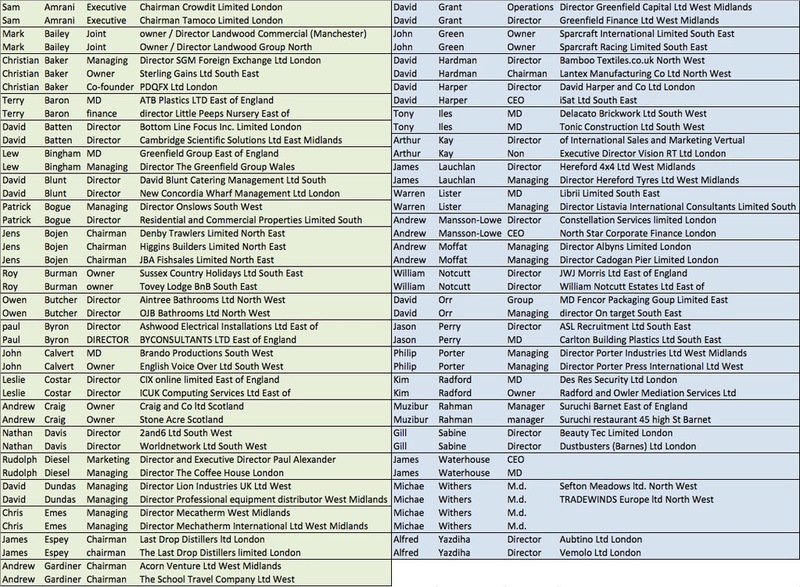 There’s also someone on the list who appears to be a recent ex-employee of CCHQ. Listed at No.4463 is Gary Chamberlain (MD of The Printing Shed) who used to be Head of Print & Design at CCHQ until November 2014, according to his LinkedIn profile. Also at No.4679 is Stephen Mold (MD, Ubershop Ltd) who was the Tory candidate for Derby North in the 2010 election, as well their East Midlands Regional Chairman in 2011. It’s amazing what putting the person’s name & their business into google can chuck up! Both the Telegraph & CCHQ have made schoolboy errors in not checking their list, but then it seems CCHQ were far keener in mining data & using any which way they fancied. You deserve to be paid by someone for your valiant efforts. Perhaps crowd funding? That would be great. Just to have my roof fixed. I won’t have to run from Lands’ Emd to somewhere, will I? Excellent piece of research sir! Very well done. Demonstrates the depths the tories will fall to in their desperation. Thanks. 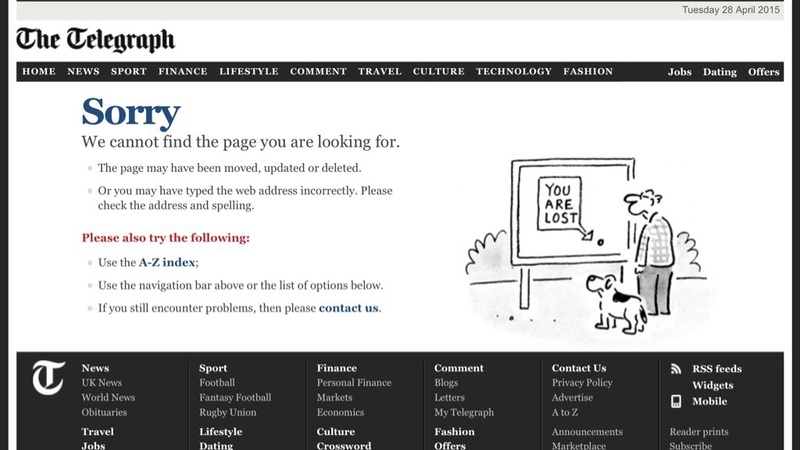 Telegraph in the gutter and owned by reclusive non-dom tax-exiles who support the Tory party now photocopying Tory propaganda mastheaded by the Tory enobled employee of a pornographer and peddler of fantasy weather-forecasts and a financial supporter of UKIP. It must be time to wake up, this dream is stupid. Thank you for this – you’ve utterly destroyed the Tories’ outrageously fraudulent propaganda exercise and given me the best laugh I’ve had in weeks. Reblogged this on I Am Iamhanuman's Blog. Reblogged this on Freudian Slippers. I do think that some of these charity owners ought to be prosecuted under the Tories’ very own Lobbying Act. For it is this act that prevents charities being partisan towards any political party and in this case the charity signatories to this letter have committed a criminal offence. Not that I think this should be the case, of course. The Conservative Party strives to meet ‘P3P’ standards (the ‘Platform for Privacy Preferences Project’) on data privacy. We are the sole owner of any information we collect. We never sell, share, or rent this information unless we first disclose the fact in this privacy statement. We collect data in nine different ways. d) help the Party in developing policies to include in manifestos for elections. For Q&A Informational Sites we will also use your responses to provide you with tailored information on the relevant subject area. In addition we may also ask you for your contact details such as your email address. By entering your contact details you agree to receive communications from us, from which you can opt-out using the “unsubscribe” link in each email we send or using the contact details at the top of this privacy notice. We will not share your details with anyone outside the Conservative Party. In addition we may use your responses in the survey to keep you informed about issues that matter to you. If you wish to participate in an Online Survey, or make use of a Q&A Informational Site, in addition to your answers, we collect your Internet Protocol (IP) address. This data will be used to help validate the results and help prevent multiple entries from individuals. In addition to this a cookie will be placed on your system after participating in an Online Survey or Q&A Informational Site. No identifiable information will be stored in this cookie. If you wish to participate in an an Online Survey or Q&A Informational Site, in addition to your answers, we collect your Internet Protocol (IP) address. This data will be used by ourselves and our agents to help validate the results and help prevent multiple entries from individuals. In addition to this a cookie will be placed on your system after participating in a poll or survey. No identifiable information will be stored in this cookie. Using IP addresses for identification purposes isn’t “broad demographic” or “aggregate” use! Why is it the BBC News were just simply reporting the alleged 5000 businesses supporting the Tories and made no mention of the irregularities? And cause it’s past my bedtime, these are some of the other duplicate names. Remember some of these will just be different people with the same name. No mention of Michael Green or Sebastian Fox, but I’m guessing many of the above could be further Grant Schapps aliases. So CCHQ has certainly triple-counted one businessman. And the claim was “5000 small-business owners“. The same business could have multiple owners, but this unusual name was so easy to check. The implication is that CCHQ didn’t check. It’s very possible that all they wanted was a magical 5000 total. The current one-director rule takes away one of the neutral reasons for multiple directorships, but it’s hard to avoid wondering how many of the multiple entries have a less than honest motive, even if older rules still applied. If you ran a corner shop, it might make sense to have the property held by one company and the retail business itself as another, but the result can be called sound planning or fraud, depending on what happens. After all, it’s what Tesco do. So what can we make of these multiple entries? Reblogged this on Beyond The Blog . It’s been a good week for citizen journalism. Excellent work. Though I sincerely hope there are two people called Rudolph Diesel. WOW. I would like to say that I am surprised. …. Got to get rid of this lot. There’s never been a crew as motley as them. Seriously great piece of journalism, thank you. I looked at the solicitors on the list: they all checked out (insofar they they were currently registered at the SRA). One of the solicitors was a sole practitioner with no registered employees, and a couple of others only had one other employee. Overall, only one firm of solicitors had more than 10 employees. I also looked at other law-related listees. One was an “attorney-at-law” for whom I can find no official details, whilst another seems to simply run a paralegal agency where everyone would appear to be self-employed. No smoking guns though, though some points of concern. So this comment is for completeness. This is a fantastic slice of investigative journalism. Appalled the beeb havent updated this in their election news and get one of the tories top people in for a grilling..
Two people describe themselves as owners of NFU Mutual. As a mutual it’s owned by all it’s members. What do the thousands of others think.? The Office Manager of GHA Coaches Ltd. is on the list. GHA Coaches is owned by the Davies family and he is not a member of that family. Thank you. I will update. 3328 Rudolph Diesel Marketing Director and Executive Director Paul Alexander Mortgage Consultants London. if you look at the consultants website,not only only is he proper chummy with the PM Rudolph Diesel is a customer. Have they been using Shapps scraping software??? That is hilarious. I might add tomorrow. Even funnier,Paul Connolly of Paul Alexander actually owns a share of Mr Diesels company. Current list at 23:30, is identical to previous list published. Great work, thanks for your dedication to this! I’ve written a couple of blog posts about media outlets mindlessly reporting information without bothering to verify it first. Here, sadly, is another example. 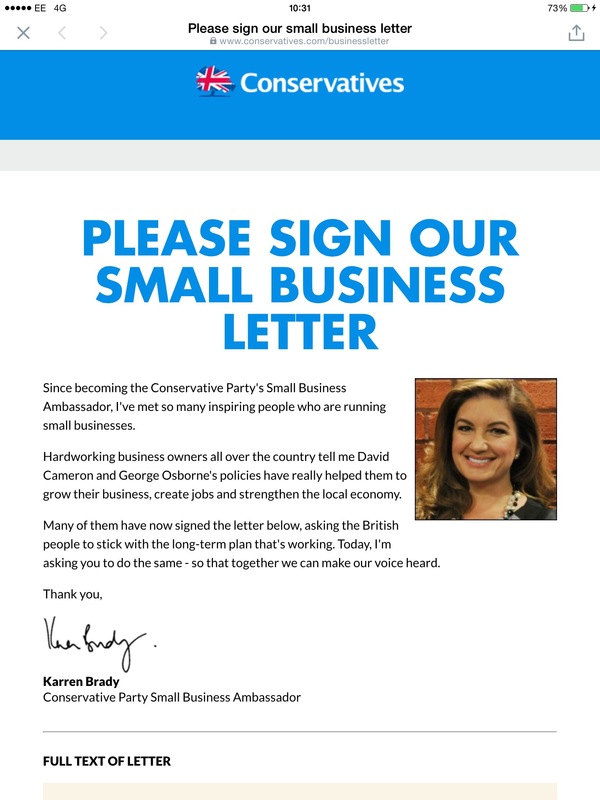 The Daily Telegraph in England ran a letter it claimed was signed by “5000 small business owners” expressing support for Prime Minister David Cameron and the Conservative Party in the upcoming UK general election. Alex decided to follow up some of the names of the signatories to the letter, and discovered….that it was not quite what was claimed. And now other bloggers and writers are finding other discrepancies and errors. Good on Alex, and shame on the Telegraph for its carelessness. I never received the email or clicked any links. However, it was so poorly executed I did check to see if I was on the list. I wasn’t. I just can’t help it, it is so much fun. Find contact details, and then take an ironically anti-social stance supporting the company. Google for the company name, use their forms and email addresses. Use phone numbers to call – and if you are feeling particularly juvenile then their services can be booked/ordered and never used. I think that is at least as sociable as the politics and actions of any RWB. To find unpublished phone numbers call numbers similar to the published fax number: companies buy phone numbers in blocks, and so hitting an office phone and a member of staff not prepared to handle or fob off a troll (and hence waste company time/money) is usually quite easy. 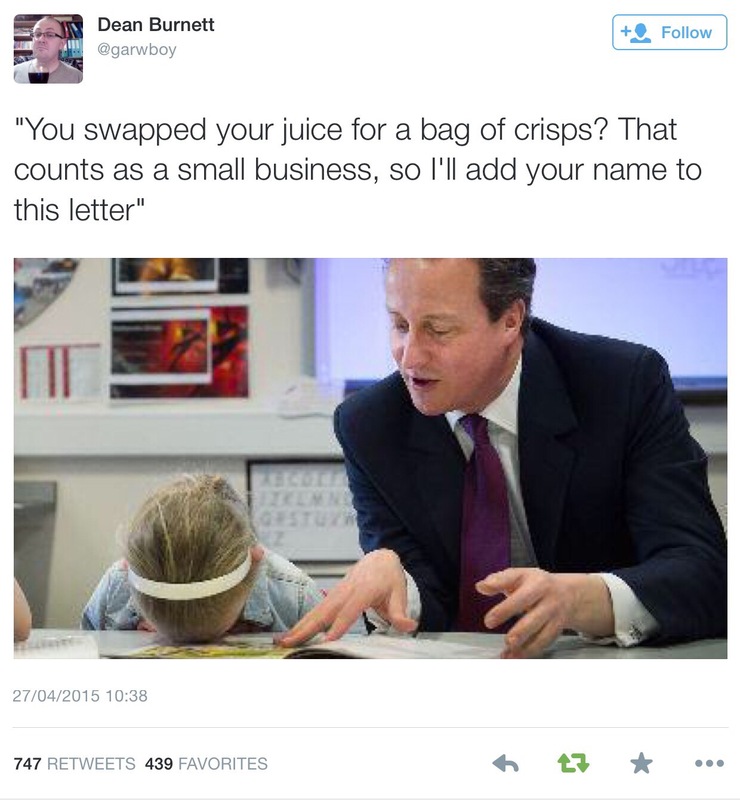 ‘Thousands of small business leaders endorse Cameron and Osborne’…although some of them were so enthusiastic that their names appear twice or three times in the list. And some of them are suffering from amnesia, so that they neglect to mention that they are actually Tory candidates or councillors. Little doubt about it, it isn´t just the Daily Telegraph – whch makes no bones about where its where its political allegiances are – the entire corporate media has turned massively towards the right and now lies on its behalf. We can no longer trust any of them. Luckily, we can turn to alternative sources such as this for a more accurate picture of what is happening in the world. In point of fact, we are left with no choice but to turn to them. Added to that, never in my life would I have thought the day would come when a Russian TV station (RT) would be more reliable than the BBC for news. That day came a few years ago. Unfortunately, the words of Emma Goldman come to mind “If voting changed anything, they’d make it illegal.” Just substitute blogging for voting and I think we can guess what is in store for us on the internet. A brilliant piece of investigative journalism! Well done!